Number facts and times tables. On 23rd November at 6:30 p.m., Mr. Cooper and Mrs. King hosted a session on how to help children at home to improve those numbers facts and times tables. These are key building blocks for success in maths. A PDF of the session and other useful resources are attached below. This document has further ideas and links to support the number facts evening. 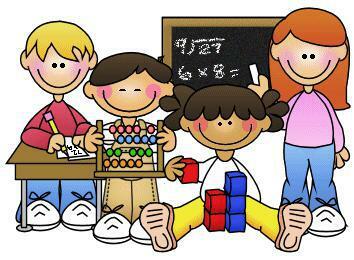 Our Calculation Policy is online now and is available via this link "DCPS Calculation Policy" as a .zip file. The files MUST be extracted by right clicking on the zip file that has been downloaded. Once done, open up the word document called "Desford Primary School Calculation Policy" and click on the hyperlinks within that file to see how we go about our various calculations. A PDF of the presentation of 26th October Parents' Session is available below. On November 2nd at 2:00 p.m., Mr Cooper hosted a session that outlines what maths mastery is and how this shapes our teaching within school. A pdf of the slides is attached below. For Mymaths, click the logo! Your teacher can give you the login details. If you have an Ipad or Android Tablet, then you can download an app here. You must have permission from an adult before you download these apps! To use Mymaths, then go to the Puffinacademy class portal here and click on the Mymaths logo from this website. Woodlands Resources Loads of games for number facts and times tables, amongst others.